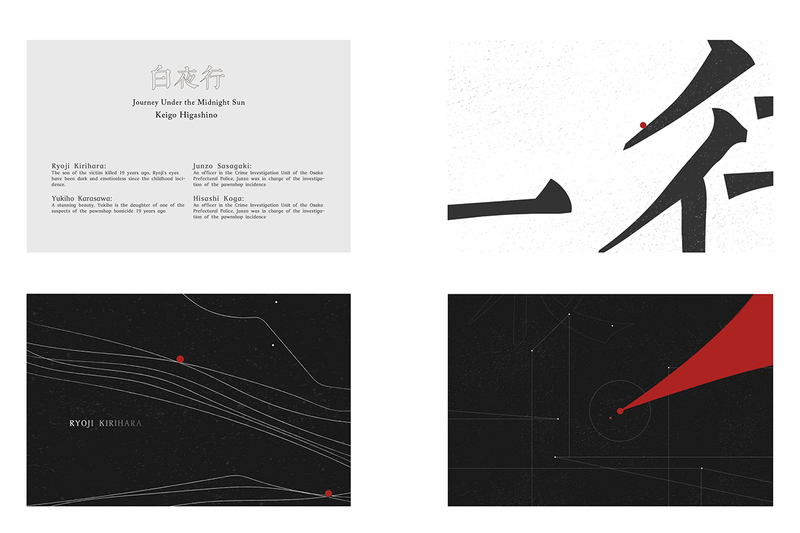 A title sequence designed for the book Journey Under the Midnight Sun ( 白夜行). About the book: Journey Under the Midnight Sun is a mystery novel written by Keigo Higashino. This is a dark, convoluted tale, marked by Higashino's characteristic sleight of hand. The novel opens in Osaka in the early 1970s – Homicide Detective Junzo Sasagaki is taking a walk on his day off when he sees a group of police cars converge on an abandoned building.